Here is the beginning of my bunk. 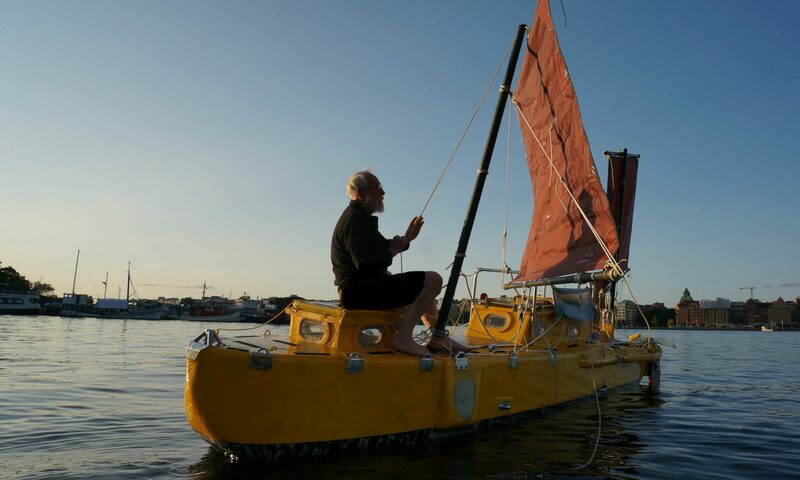 Becouse much of the sailing will be done in the winter using no heater and no fossil feul I will do plenty of insulating. The hull thanks to the sandwich construktion and Divinycell gives in itself excellent insulation. Still there will be many months of winter sailing therefore inside that insulated hull is an insulated box that is my bunk. 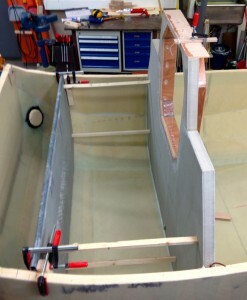 The first step is shown fixing the position of the aft side. I use four sticks of equal lenght to get the planes parralell. 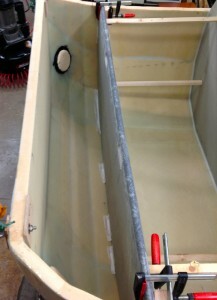 The below picture show how I have have attached the bunkside with epoxy filler. When it sets I will remove the sticks and the clamps to get better acces.